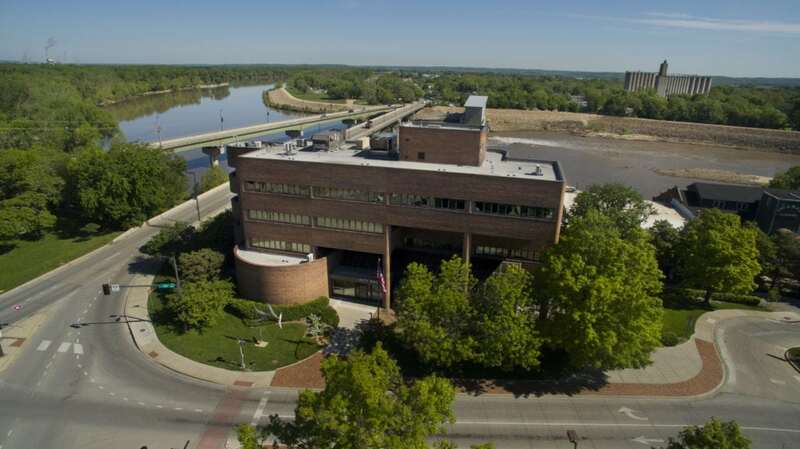 End-of-year bonuses for senior city of Lawrence employees that typically cost the city hundreds of thousands of dollars annually could eventually be phased out. City management is recommending the change; employee groups are opposed. At its meeting Tuesday, the Lawrence City Commission will consider a new policy for the city’s longevity bonus that would tier and cap the amount paid to qualifying employees beginning in 2019 and would eliminate the payments for new employees. As proposed, the changes would not affect this year’s payment amounts and all current employees would continue to be eligible for the bonuses going forward, but employees hired after Jan. 1, 2019, would not be. City Manager Tom Markus said the city has employees that have grown accustomed to the current longevity payments, and so the proposed policy represents a compromise that phases out the payments instead of abruptly shutting them off. However, he said it’s good management practice to pay employees based on merit rather than seniority. “It’s the difference between paying people for being around a long time versus paying for performance, and the emphasis from management is to pay people based on performance,” Markus said. Markus noted that proposed changes are in line with a report provided to the city by McGrath Human Resources Group as part of the contract negotiations with the Lawrence police officers union. McGrath’s report states that longevity payments are not proven to be effective toward promoting efficient and effective services and that financial resources would be better served providing employees market compensation or enhancing a specific benefit available to all employees. The proposed longevity payment policy has the same payment structure as the one approved for members of the local police officers union, and Markus said that he likes benefits to be consistent across the board. Though the longevity payments to qualifying city employees are discretionary, the city has typically paid the bonuses annually in December for at least 20 years, according to a city staff memo to the commission. Since 1997, the longevity payments made to employees total about $7.5 million, according to a city report. Under the proposed policy, eligible employees not covered by a union contract would fall into one of four tiers, with the maximum payment capped at $1,000. Longevity payments would be $250 for five to nine years of service, $500 for 10 to 14 years, $750 for 15 to 19 years and $1,000 for 20 or more years of service. Currently, employees who have worked for the city for five or more continuous years are eligible to receive a payment, and those employees are paid $48 for each year of service, which would amount to more in payments over time than the tiered structure. The city’s Employee Relations Council is opposed to the changes. In a memo to the commission, the council states that the longevity payments are a good way to recognize employees’ service and maintain employee retention. “It is important to retain employees who have been working for the City for a considerable amount of time as they possess great knowledge, skill, and dedication to the citizens of Lawrence,” the memo states. The local firefighters union, Local 1596, is also in favor of maintaining the longevity payments for all current and future city employees, according to a news release from union president Dean Garrison, who states that Local 1596 will be publicly opposing Markus’ recommendation. The city proposes that discussions regarding the 2019 longevity payment for the firefighters union be held in conjunction with the upcoming contract meetings that will begin in spring 2019, according to a city staff memo to the commission. City management is recommending longevity payments be made under the current formula for this year, and the commission will consider approving the payments along with the future policy changes as part of its meeting Tuesday. If approved for this year, longevity bonuses will cost the city about $473,000 for 2018. It’s recommended that the difference between the two payment structures for 2019, which would be approximately $64,000, be diverted to other compensation programs, such as merit pools or market adjustments.